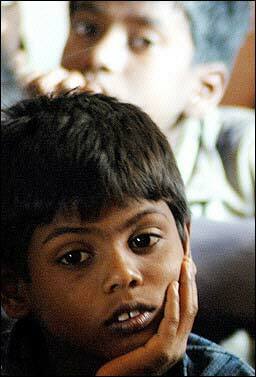 Anathi (literally, 'without a guardian') is the Sanskrit or Tamil word for 'orphan'. Sadly, in the wake of a decades-old ethnic conflict and, since 26 December 2004 when a catastrophic Tsunami struck the east coast of the island especially, Sri Lanka is home to many, many children who have lost one or both parents, or who come from destitute families. According to UNICEF, nearly 1,000 Sri Lankan children were orphaned by the Tsunami, and another 3,200 lost one parent. Nature brought this catastrophy upon the people of this region. The solution to the dilemma faced by these orphaned children is in the hands of people like you. Please help them by helping the societies that maintain the homes for such children. Anathi.org helps donors and volunteers to identify small projects and provides them with reporting and administrative support.